April No Fools Day for the HDR was an absolutely beautiful day for an Arrive & Drive and, once again, Bob Stark did not disappoint, with a route that combined the Crooked River Canyon curves with a selection of roads West of Redmond and Northwest of Bend. Over forty cars made the drive and we ended the tour at Awbrey Glen’s restaurant, Nineteen, with an excellent lunch. The second weekend of April brought the Spring edition of our Adopt a Road efforts. 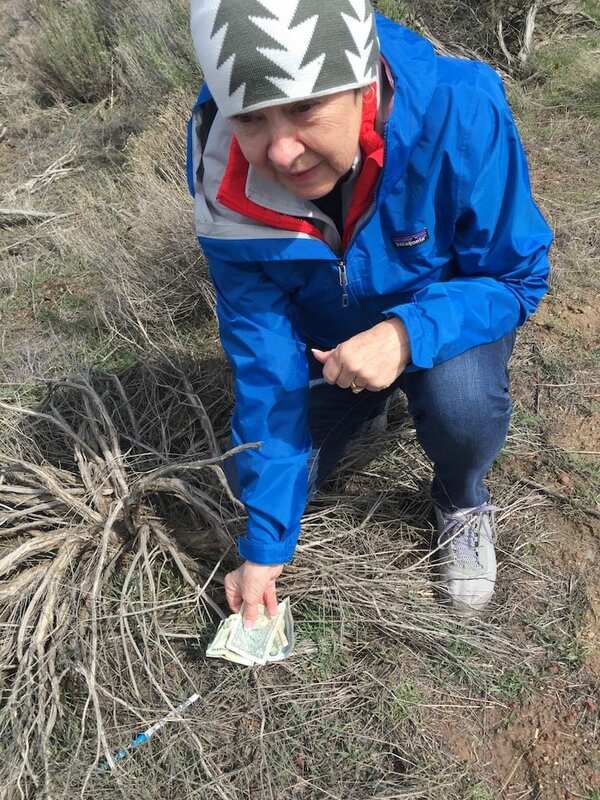 John and Eleanor Donohue did their usual outstanding job of hosting this event and report on the cleanup elsewhere in this issue of Downshift. 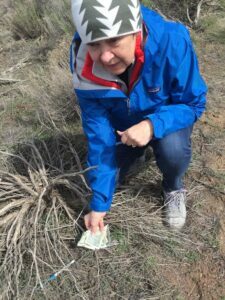 On a side note, as Gretchen and I walked the site on the blustery, cold Friday before cleanup day “salting” a few cash prizes for the event, she came upon an unexpected find — $61 in neatly folded, but weathered bills! The Spring and Fall road cleanups two of the most fun activities that we do as a club. It is amazing how much trash ends up on the side of the road! We laugh and joke about what we find, but I think each of us goes home with a greater appreciation of the impact of trash. The lesson this session was a renewed dislike of Styrofoam peanuts used for packing! In any event, please join us for the Fall cleanup in October. 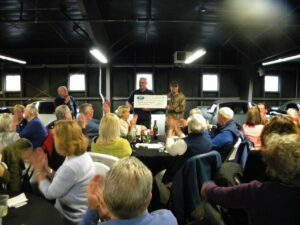 The Porsche spirit that we saw with the first Arrive & Drive of 2017 carried over to the member dinner on April 19, where we had a record number of attendees on hand to join in the celebrations as we presented the COCC Automotive Technology program with our donation of $3,600 toward their scholarship program. My thanks go out to all of our members, as it is your participation and generosity that make our efforts to support our community possible. Please note that the limited space and large number of members attending the dinners make it imperative that we all register as early as possible on MotorsportReg.com. We are now listing events well before they occur to facilitate early registrations. HDR is committed to keeping the dinners open to all who wish to attend, but we need your help in continuing this tradition. 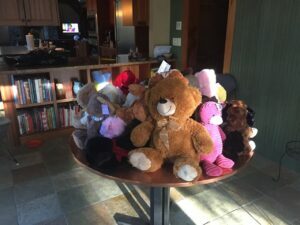 We have begun to collect stuffed animals for local police and fire departments at our monthly dinners and I am happy to report that the first month’s efforts, on very short notice, yielded 31 cute cuddly characters! The job of being your president takes a lot of work, but it is times like this that make it all worthwhile and I am very proud to lead this group of wonderful, caring people. We will continue the stuffed animal drive at each member dinner throughout the summer, and will present the fruits of this effort to the various first responder organizations in the fall. 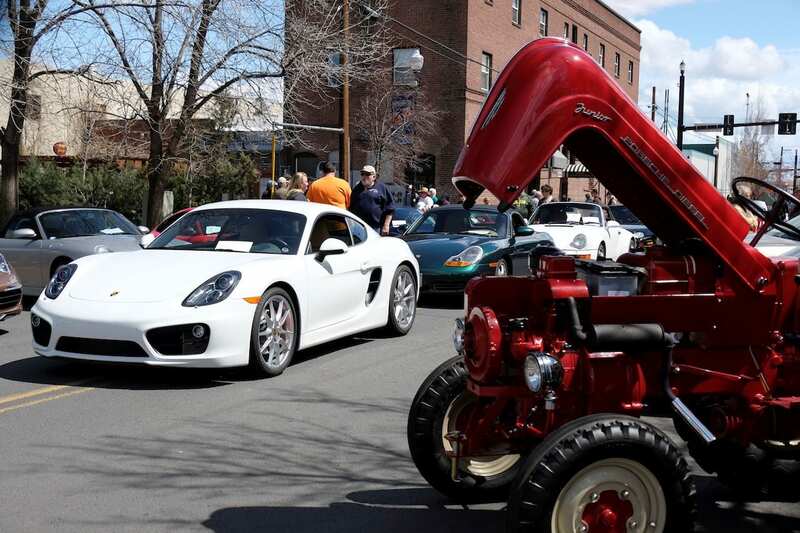 The day dawned cold for the Diego’s Car Show on Saturday, April 22, but warmed up nicely by afternoon. Once again Bob and Suzi Townes hit one out of the park and we had 44 HDR Porsches in attendance, against a total Corvette entry of “only” 39. The Townes’ write-up is featured later in this newsletter and they will be presenting the Car Club Trophy at our May member dinner. Congratulations to all who attended. The annual Diego’s Car Show has become a fun way to kick off our show and shine activities each year and also gives us the opportunity to rub shoulders with other car nuts. With over 400 entries, Diego’s has grown into a large event by any standards. On a personal note, HDR member Rob Altvatter had his beautiful red 2000 911 C2 at the show with a for-sale sign in the window and we were able to connect him with our friends Dewey and Bonnie Davidson. Dewey was a founder of the Cascade Region (1961) and also the Sierra Nevada Region in Zone 7 (1965), but has been away from Porsche for many years. Please join in welcoming the Davidson's “home”. Rob also has an 83 911SC in his garage so this is a net gain in our membership as well. Finally, you will begin to see changes in Downshift over the next several months. First, we will be welcoming Patty Katz as our new editor. Patty has extensive experience editing material for websites and I look forward to having her help on Downshift. Second, I volunteered to review newsletters for the PCA newsletter contest. The group I reviewed included ten of the larger regions in the country and involved reading over 700 pages of newsletter material! The PCA review is pretty structured and I now know what they are looking for in a newsletter — boy do I know! Seriously, the best stood out from the rest, and although there are some aspects that we cannot expect to replicate, we can make our newsletter a much better vehicle for keeping the HDR membership informed. A few of the changes are found in this issue, but stay tuned . . .
News Flash — Check out Pete’s article in this month’s Panorama on the 2016 Oregon Festival of Cars/Porsches on the High Desert. Very nice work Pete!